Alignment is key to keeping your joints and body healthy during any yoga practice, no matter how rigorous you intend it to be. Our bodies need to remain safe throughout each of the asanas or poses in order to make the practice a long-term part of our lives. Whether you’re a beginner or a seasoned yogi who practices with the masters, it never hurts to take a small step back to remind yourself about proper alignment through some of the basic poses. What should you keep in mind during your next yoga session? Keep these top reminders at the forefront of your mind as you move with the breath. Your back is a necessary part of moving through most of your practice, whether you’re focused on standing or seated poses. Our natural tendency is to reach as deeply as possible into a position to demonstrate our flexibility. Even as we do other day-to-day activities like reading, working at a desk, or driving, we tend to hunch our shoulders and round our spine in a way that compromises its integrity. This reminder tells us to do just the opposite. In your next practice, focus on coming up out of a pose just enough that you can keep your spine long and straight. It may feel like your practice isn’t going as deep, but it will be more beneficial for your back in the long-run. Pay attention to your feet in standing poses. For most of us, it’s obvious that our feet do a great deal for us in our standing poses. However, we don’t often take much time to consider how they’re doing the work. We know we are practicing proper alignment when we are equally grounded through all parts of the feet. Weight should be distributed not just towards the toes or towards the heels but equally throughout the entire sole of the foot. You also need to ensure that the weight isn’t located in just one side of the foot, whether inside or outside, due to the stress it can cause to your ankles and knees. Don’t put unnecessary stress on your knees. Knees are a critical element in our daily movement and functioning, so we need to treat them with respect. It can be easy to overextend the ligaments and muscles in our knees in any number of poses. For example, your front knee shouldn’t extend over the toes of your foot as you sink deep into a warrior II pose. It also shouldn’t be folded in toward the big-toe side of your foot. When you’re in a standing position, remember to keep your knees soft also. This can help the blood to better flow throughout your legs and prepares your body for future movements. Both of these common mistakes can jeopardize the health of your knees, making continued movement painful far into the future. Be very considerate of how much work your knees are doing and attempt to minimize any potential injuries in this way. I see a lot of articles and videos titled “Yoga for Runners” but I don’t see many articles articulating the opposite “Running for Yoga.” In fact, I just did a search for that very title and I still saw a number of articles, videos, and blogs talking about “Yoga for Runners.” Yoga for Runners makes yoga sound subservient to running but this year, because of the amazing benefits I get from yoga that seem to trump the benefits I get from running, I am declaring my allegiance to yoga over running thereby making yoga the dominate exercise in my relationship between yoga and running. It is yoga that keeps runners flexible and loose, strengthens the runner’s core, including the tiny core muscles, the psoas, and the obliques. It also stretches the muscles, helps create muscle memory for amazing running form and, importantly, provides relief from pain caused by running that only yoga seems to provide. What’s more, running can make yoga even more enjoyable by building strength and stability, as well as help to increase stamina. First, start in Warrior 1 (Virabhadrasana I), modified with your arms stretched out behind you, parallel to the floor as much as you are able. In this pose, and in every Warrior 1 pose, it’s important to keep your hips square. To square your hips, after you’ve set your left foot behind you for Warrior 1, put your hands on your hip. Using your hands, guide your left hip forward and your right hip back so that your hips are even or square. Try to do this every time you are in a position with one leg extended behind you. I’ve found it makes all the difference in terms of pain relief and hip strengthening. From modified Warrior 1, sweep your arms forward and up with a deep breath in to move into Warrior 1 (Virabhadrasana I). Swing your arms back down and behind you for modified Warrior 1 (Virabhadrasana I) and then once more up into Warrior 1 (Virabhadrasana I). Slowly lower your arms and bring your hands to your heart (Anjali Mudra) as you move into a Low Pushup (Chaturanga Dandasana) to an Upward-Facing Dog (Urdhva Mukha Svansana) and then to a Downward-Facing Dog (Adho Mukha Svansana). This sequence, from the Low Pushup to the Downward-Facing Dog should be done in relatively quick succession, moving smoothly from Low Pushup (Chaturanga Dandasana), pausing slight in the low plank position, to Upward-Facing Dog (Urdhva Mukha Svansasa), making sure to press the tops of your feet into your mat and flex your thighs so that your knees are off the mat. From Upward-Facing Dog (Urdhva Much Svansana), lift your buttocks up, supporting the movement with your abs, into Downward-Facing Dog (Adho Mukha Svansana) and pause there for a few deep breaths. This exercise really opens up your hips up. From the Low Lunge (Anjaneyasana) position, take your right hand and move it inside your right foot so that your left hand and right hand are next to each other on your yoga mat. Take your right foot, roll it onto its right edge, and then pretend that your right foot is a hand on a clock with your toes the tip of the clock hand. Move your toes down to 2 or 3 on the clock face, keeping your heel in the same place, and let your knee swing open even more. For a deeper stretch, put your forearms on the yoga mat instead of your palms and just breathe deeply for a few breaths. Rise out of Lizard Lunge (Utthan Pristhasana) by straightening out your foot and placing the sole of your foot back on the mat, coming up onto your palms and back into Low Lunge (Anjaneyasana). From there, move back to modified Warrior 1 (Virabhadrasana I) and start the sequence on the left side. This sequence will do amazing things for you yoga-wise and will also allow you to run with ease to build up strength, stability, and stamina for your yoga practice. Running for yoga indeed! Some days we feel great, our minds and spirits seem perfectly aligned, when suddenly, as if we turned a corner, something seems off. Energy flows through our bodies, when this energy is disrupted it can affect us in many forms. Physically, we may develop an upset stomach, a headache, or we might feel altered mentally, we are depressed, or uneasy, and we aren’t sure why. Knowing what your seven chakras are can help you identify why you may be feeling unbalanced and show you how to fix it. The word chakra translates from the ancient Sanskrit word to mean ‘Wheel of Light.’ Each one is a center of energy that resides in our bodies. In these centers, nerve points connect with the flow of energy (prana) that moves throughout the different points in our body; when the energy is disrupted our bodies are affected. The first of the seven is located in the tail bone of your body and regulates your sense of survival, instinct, and security. 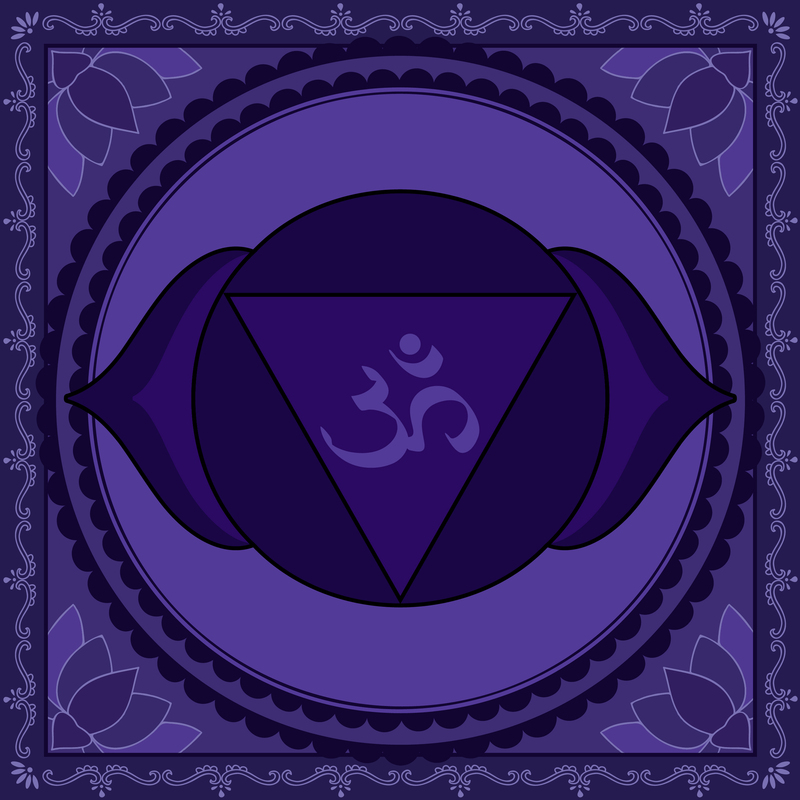 When this chakra is out of balance, you may feel insecure, anxious, ungrounded, despair, or alone. Since this chakra is associated with the color red, you can reinvigorate yourself by wearing or associating yourself with something red, such as these yoga pants in red, a garnet stone, or eating food that is red, such as berries, beets, or red cabbage. 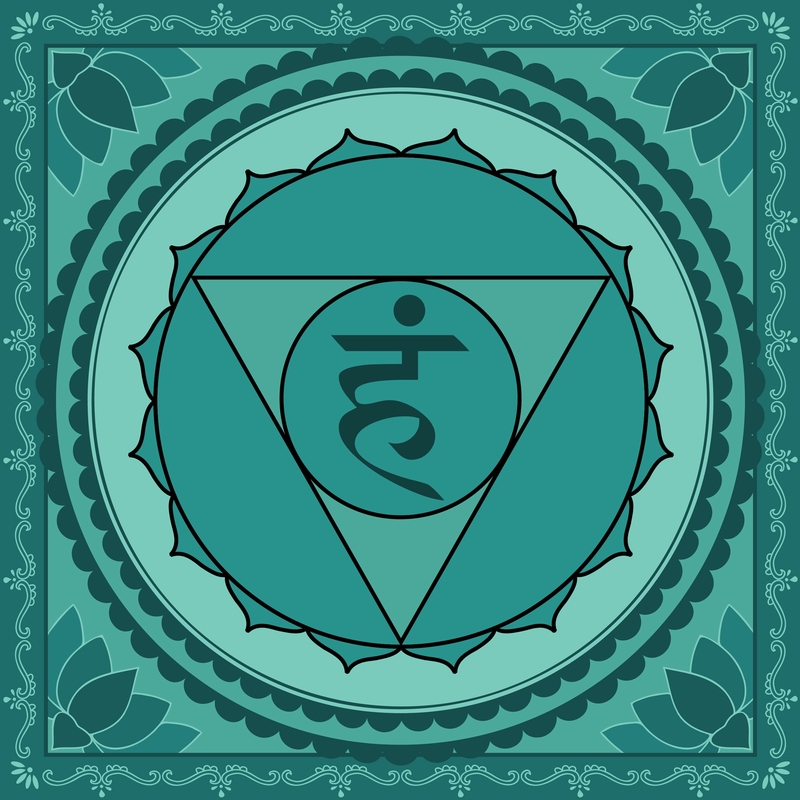 This chakra is located in the pelvis, where the urogenital system lies, that which is responsible for the reproductive organs and the urinary system. This chakra regulates your sexual needs and emotions, as well as your confidence and creativity. When it is out of balance we feel lonely and dependent on others. The Sacral Chakra is associated with the color orange, to fix an unbalance, try a carnelian stone, wearing some orange, or eating some orange vegetables or fruit. When unbalanced with this chakra you will feel anxious, a loss of control, and for some, they can develop an eating disorder. 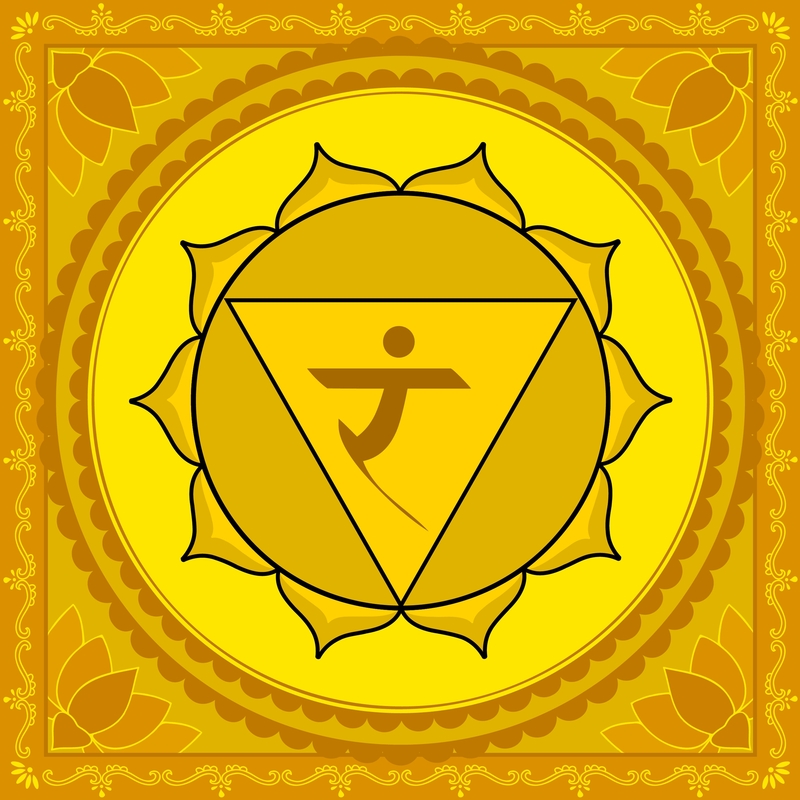 This chakra is connected to the digestive system and the adrenal glands and is located under your ribs and in the diaphragm. The associated color is yellow, and you can help return balance with a citrine crystal, some yellow clothing, or some yellow food in your diet. With this unbalance, you will feel disconnected, hopeless, and excluded and when balanced you will feel love, compassion, strong bonds, and protection. It is related to the heart, the thymus, and the endocrine system. To renew strength with this chakra, try wearing some green jade, surround yourself with greenery or consume some leafy salads. 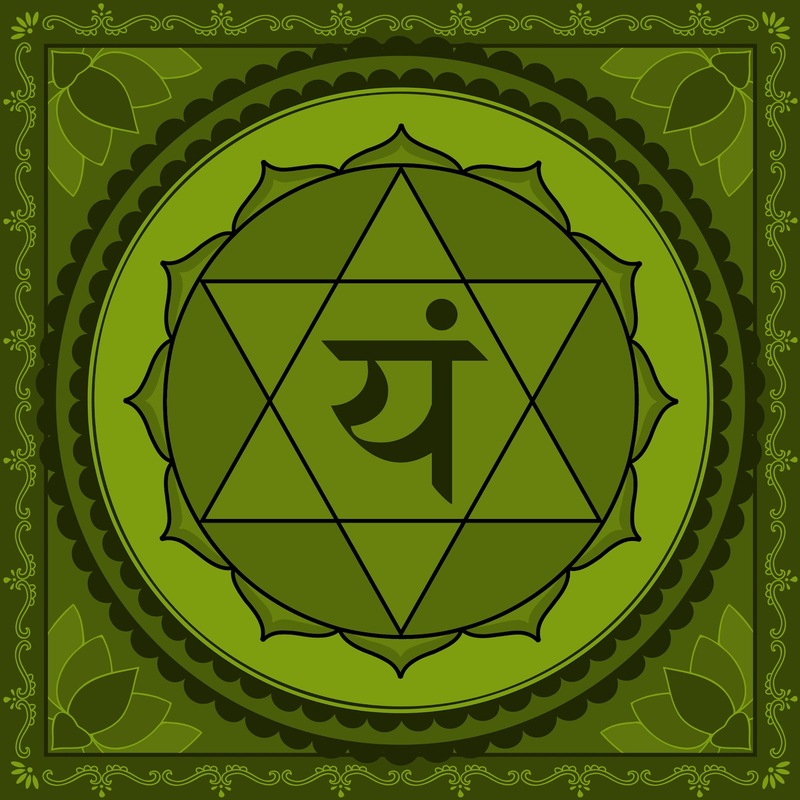 Like the name suggests, this chakra is located in the throat and is connected with the thyroid gland. It controls communication, expression, and a sense of security. Unbalanced, we feel insecure and unable to express ourselves. To rebalance yourself, connect with blue water, blueberries, or wear a Lapis Lazuli stone. This one is located on the lower forehead, between your eyebrows and is your connection to the spirit world through the pineal gland, thusly affecting your intuition, inner thoughts, and dreams. When this chakra is disturbed we lose trust, we judge more, and our sleep can be affected. Associated with the color indigo, surround yourself with purple plants, wear an azurite stone, or eat some purple vegetables. The final chakra is located at the top of the head and is related to the pituitary gland and the central nervous system. It identifies with our imagination, spirituality, and consciousness, and when the energy is disrupted to this part of the body, we feel confused, disheartened, and disconnected from others. Connected to the color violet, fix any disruption with an amethyst rock, some violet flowers or some violet-colored figs. In time, you will better understand when a particular chakra seems out of alignment more than the rest of your body. Listen to your body, pay attention to your senses, mediate, and energize your chakras by living in a world full of color. There are many lessons to learn from our body’s natural rhythms and actions. One of our most basic rhythms that we seem to forget about is simply our breath. The inhalation and the exhalation are both so essential and metaphorical in regards to almost every aspect of our lives. Today we’re going to take things a step deeper and look at the lessons from yogic breath in particular. Yogic breath teaches us the same things that regular breathing does but it magnifies it for the better. Let’s start off with the lessons you can learn from your yogic inhalation. The “in” breath in yoga as well as in everyday life is the section of the breath involved with action. If you are ever frightened or surprised you take a deep breath in. When you add on the yogic take on it, the inhalation becomes a very beautiful and meaningful second or two. In yoga the inhalation is associated with ingesting and consuming energy; it’s not just about breathing it in, it’s about really letting it sink in. It is a time where you are open to changes in your energy and possibilities. This applies to your daily life in a couple ways. First, you may want to consider if you are taking enough metaphoric inhalations in your life. Are you experiencing enough moments in your day that are invigorating and wholesome? There are a lot of people who are living life seemingly on a constant exhale. Secondly, you may wish to consider what things in life allow you to inhale naturally. Set a little trigger in your mind to pay attention every time you take a deep inhalation in your daily life. You can learn a lot about your interests and passions by simply looking at what makes you inhale. The exhalation is about letting go of what you no longer need. It’s about detoxifying your body, mind, and soul. It’s also about relaxation and putting your feet up. At the end of the exhalation there should also be a slight moment of preparation for the coming inhalation. The lessons of the exhalation in everyday life are the complete opposite of the lessons from the inhalation. Are you taking enough exhales in your life? Are you allowing the time to rest and let go of the old or are you in a constant “up” that is going to wear you down? The exhalation teaches you to let go of what is no longer serving you in every aspect of your life. Yoga and yogic breathing are all about rhythm; it’s all about balancing out between the ups and the downs. Make time to inhale new and productive energy and make the time to let go of what is no longer needed. Inhalations and exhalations are equally as important so make sure you are not favoring one over the other. Bring balance into your day and honor your life as the rollercoaster that it is! Mobility is just as important as strength is. But most of us neglect to take into consideration how mobile or immobile the body can be. Our range of motion can be restricted depending on how stiff our body is. One of Yoga’s incredible gifts is how it can effectively increase mobility. But just as your body is different from others, so is the time needed for it to develop mobility. Child’s Pose. This pose allows the neck, shoulders and spine to relax promoting better flow of blood in the head, releasing tension especially on the shoulders. How: Sit on your heels and bring your body forward. Let your torso rest between your knees and your forehead on the ground. Stretch your arms forward with your palms on the mat. This is a good resting pose you can do whenever you feel you needed. Forward Fold. Gravity aids in better blood circulation to the head. Allowing the head to hang freely relaxes the neck, opening more space for more movement. How: Stand tall. Tune in to your pelvic floor. Inhale as you lift your hands, palms together. Exhale as you slowly lower your body forward. Reach for the ground. If you can’t touch the ground, just reach as far as you can or hold your elbows. Do not force the body into anything that is painful. Cat-Cow Stretch. This stretch helps improve strength of the abdominal muscles and is a good warm up for the spine. How: Plant your palms and knees on the floor. Your palms should be vertically aligned to your shoulders and your knees aligned to your hips. Start with cow. Inhale as you arch the back, bring your shoulder blades more closely, curl your toes under and stare at the sky. Cat pose is exhaling while you release your toes and round your upper back, focusing on your belly. Close your eyes as you perform this transition to really feel the internal stretch. Downward Facing Dog. A good stretch to release the calves. This pose is a gentle inversion promoting better flow of blood throughout the body. How: Start with your hands and feet planted on ground. Make sure your hands are shoulder width apart and your feet are hip width apart. Lift your hips upward to make an inverted V position with your body and spread all your fingers for more stability. Seated Twist. This twisting pose is great for loosening tense muscles in the back and mobilizing the spine. How: Start off by sitting with crossed legs. Inhale as you lift your right arm up to the air and exhale as you reach it down to your left outer thigh and look to your left, twisting the body gently. Do the same technique using your left arm to your right outer thigh. Cobra. This pose awakens the energy source from within while opening the shoulders, chest and back. How: Lie down on your belly and plant your hands on the floor near the ribcage. Elbows are bent and feet are hip width apart. Glide your upper ribs and chest forward to lift them off the floor. To be able to move around and do things easily requires mobility. Develop your range of motion safely through these easy poses. You won’t develop just the mobility you desire but also enjoy the other benefits Yoga extends to those who practice with good intentions and an open heart.